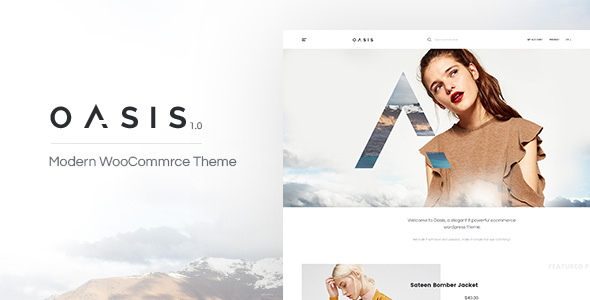 Adios is a design-driven, aesthetically sophisticated & technically proficient portfolio WordPress theme. 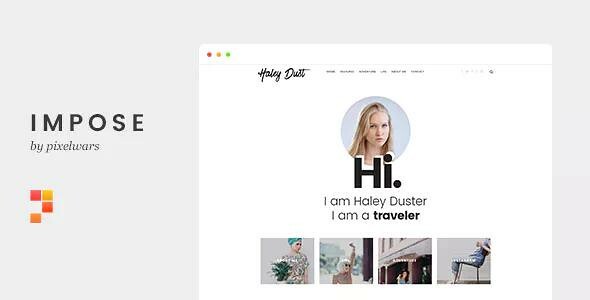 Built with visual composer (Drag & Drop interface), this theme puts the power to mold & shape your website in your hands. This amazing travel theme is ideal for any travel activities like caravan park, tent, campsite bungalow, camping, cottages, campground and motorhome. Also this travel wordpress theme is thought for any kind of mountain sports in the nature like hiking, kayaks, biking and excursions activities. 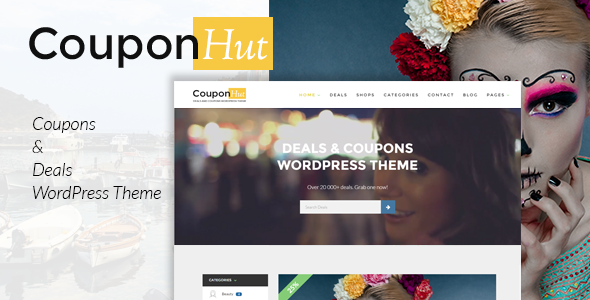 Create that amazing deals, discounts or coupons website with CouponHut, a clean modern responsive design, drag and drop page builder, custom widgets and rating system included. Impose is an elegant WordPress blog theme designed for bloggers, crafted with user-friendly approach to make your life easier and make blogging more enjoyable experience. With Impose blog theme’s you can have an elegant good looking blog in just minutes. 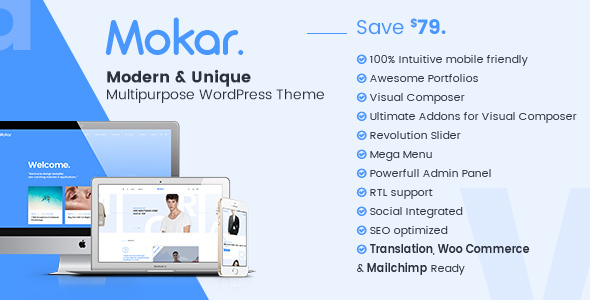 You will be amazed and attracted by the modern and unique style as well as clean and intuitive design of Mokar. 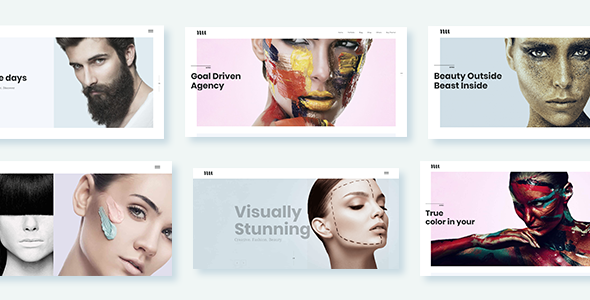 Proudly delivering 09 beautiful homepages, a bunch of essential inner pages and most popular plugins integration. 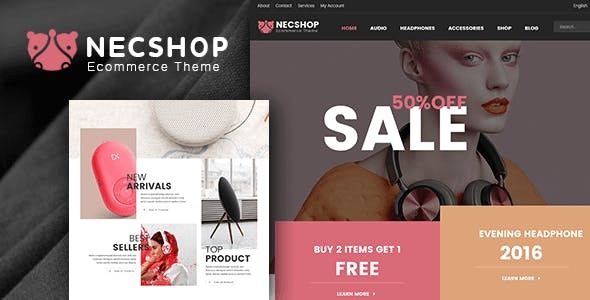 NecShop is a brand new Wordpress theme that we have designed to help you transform your store into a beautiful online showroom. 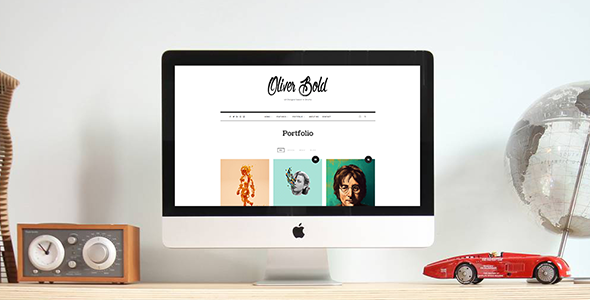 This is a fully responsive Wordpress theme, with multiple versions for homepage and multiple templates for sub pages as well. 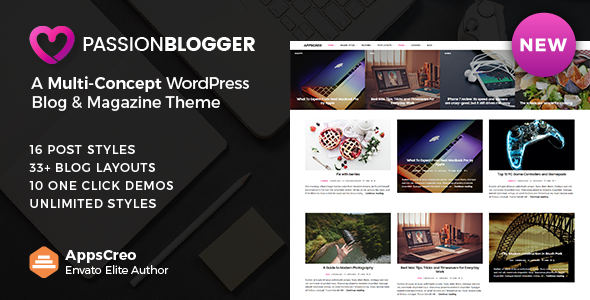 Passion Blogger is a multi-concept blog/magazine WordPress theme focused on readability for creating pro-grade blogs and magazine without writing a single line of code. It’s a WordPress theme that lets you write articles and blog posts with ease. 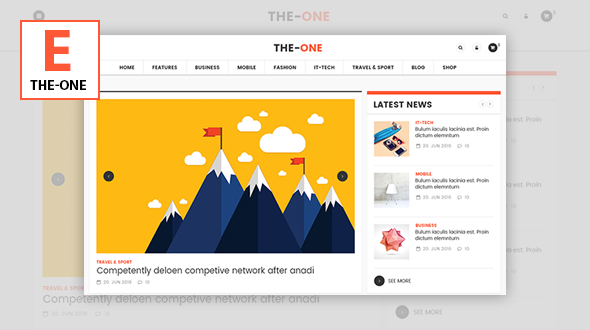 The-One is a WordPress theme that lets you write articles and blog posts with ease. We offer great support and friendly help! The The-One template is excellent for a news, magazine, publishing or review site.